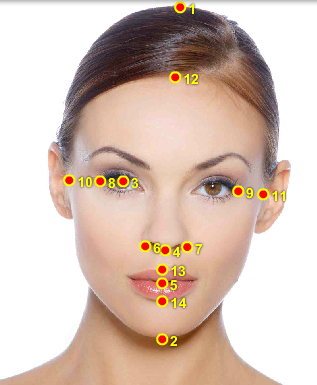 1The golden ratio mask for the example I’ve used in the video is a scientific, or mathematic ratio on the proportions of the face that can be a useful tool in how best to apply your makeup! The ratio helps provide the ideal symmetry and proportion for the face. Theres probably only a handful of people in the world, if that that fits the mask to its entirety but when used with a pinch of salt, it can be quite fascinating! Heres the video showing how I used the mask to help do my make up, and below is the ratio’s/sums I used to work out my face ratios! Now, you can find your ratios. ( / = divided by )….a figure of 1.62 is ‘golden’ so the closer to that, the closer to ideal symmetry you are! If the ratios were all put into a face – This is what it would look like, this mask can be overplayed onto your picture ( if your good on the computer!) so you can see how it fits on your face! – If not there are several sites that will do this for you, just give it a google search! Previous Article← Sleek at home blow dry!